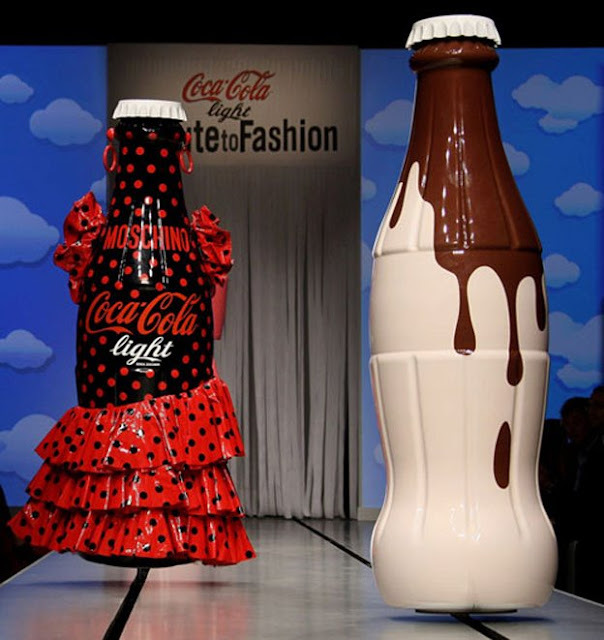 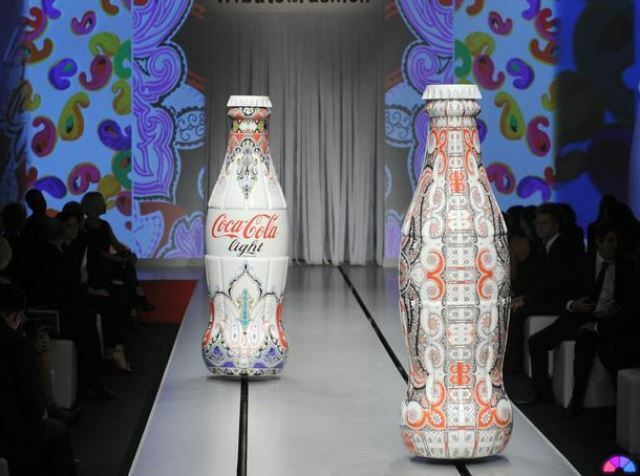 Dozens of life-size Coca-Cola Light bottles decorated by Italy's top fashion houses took to a giant catwalk at the opening of Milan Fashion Week. 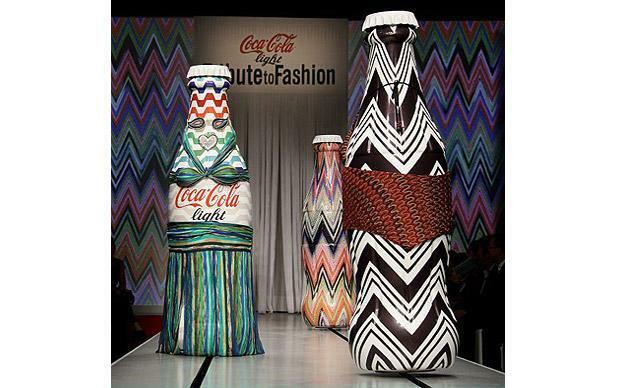 Coca-Cola Light bottles designed by Missoni, bearing the famous stripes synonymous with the designer label. 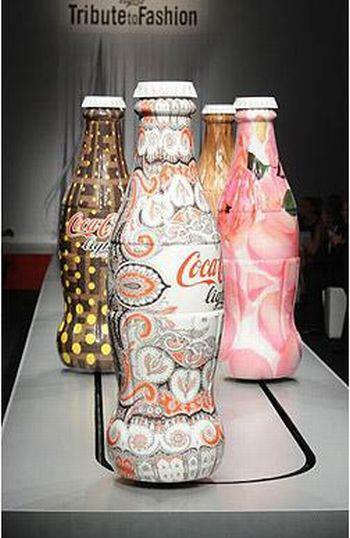 Coca-Cola Light bottles designed by Etro. 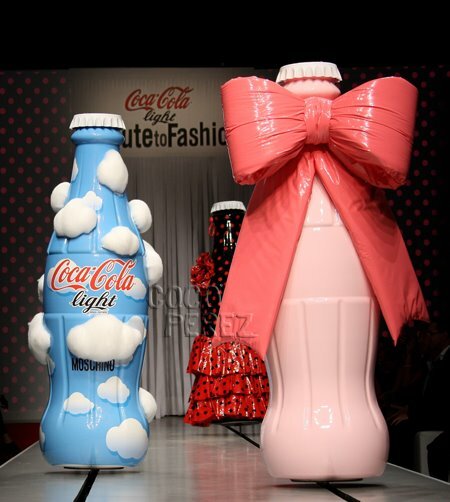 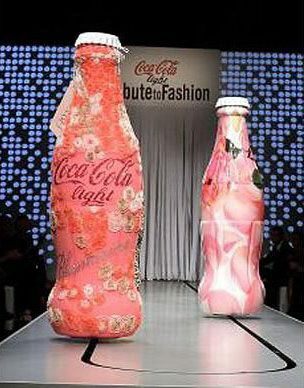 Coca-Cola Light bottles designed by Blumarine. 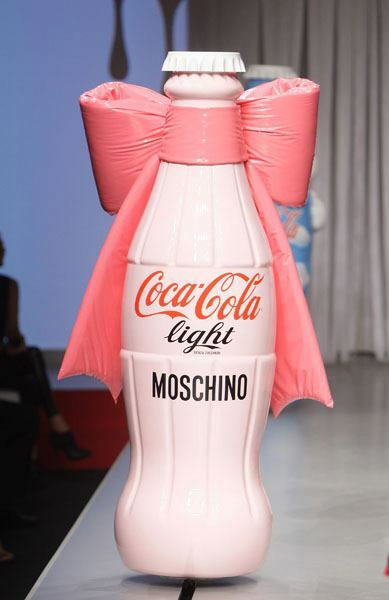 Coca-Cola Light bottles designed by Moschino, in a signature, over-the-top girly style. 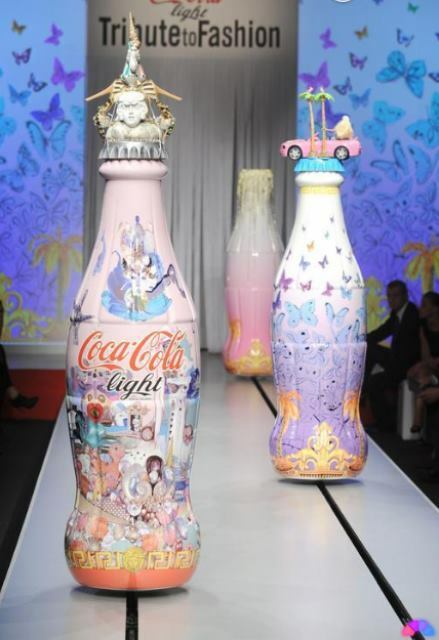 Coca-Cola Light bottles designed by Versace at the 'Tribute to Fashion' charity event as part of Milan Fashion Week. 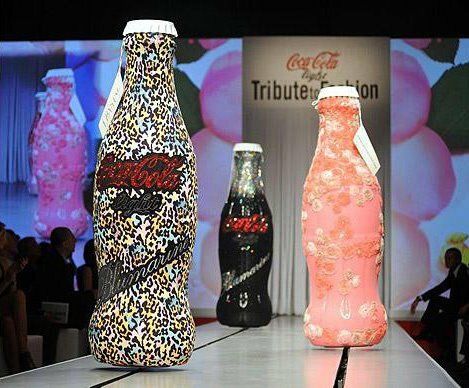 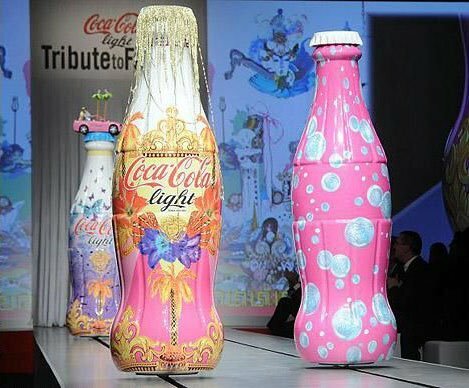 The final line-up of Coca-Cola Light bottles designed by some of the biggest labels in fashion at the 'Tribute to Fashion' charity event as part of Milan Fashion Week.